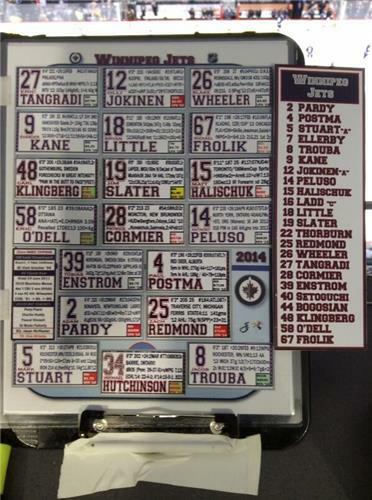 Live updates as the Bruins face the Winnipeg Jets on Thursday, April 10. 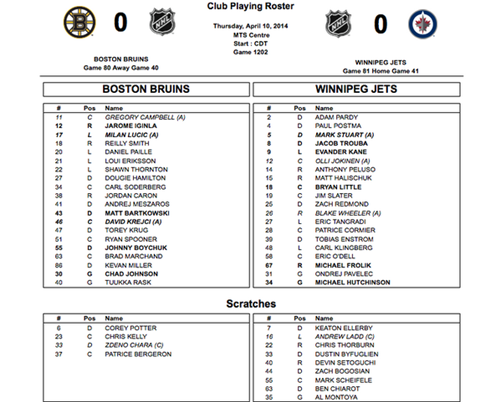 Confirmed: Your scratches are Bergeron, Kelly, Chara and Potter. 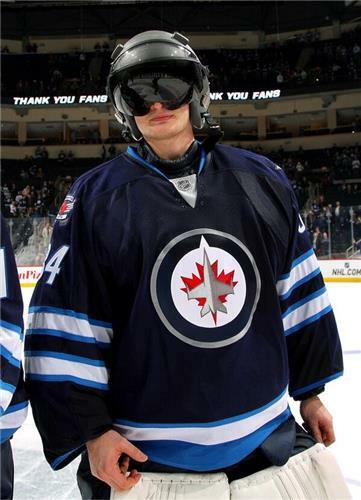 Before puck drop tonight, three members of the Jets will be presented with year-end awards. Patrice Bergeron is not a healthy scratch. Zdeno Chara is a healthy scratch. Patrice Bergeron NOT a healthy scratch (he is not playing) according to Bruins media relations, Chara is. One last "True North" and we're underway here at the MTS Centre for the final home game of the season. Daniel Paille playing with Soderberg and Eriksson. 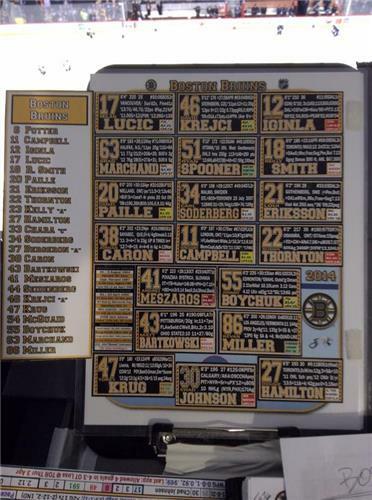 As @NHLBruins pointed out, Milan Lucic and Gregory Campbell each get an 'A' tonight with Bergeron and Kelly out. Bruins just scored on their second shot of the game, 10:12 in. Brad Marchand. It's 1-0.
.@RadMarchand Please come back for the playoffs. We're due a duet from you and New Jack Edwards on @Toucherandrich !